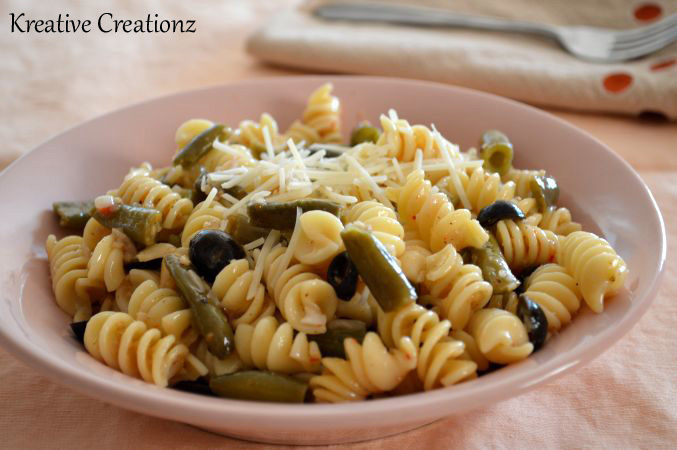 If you’ve been following my blog, then you know that I love pasta! I’ve made my own pasta and have had authentic pasta while living in Italy for three years and I still can’t get enough. Sometimes the whole no-carb craze gets on my nerves just because I know pasta is loaded with carbs. However, I still eat it. 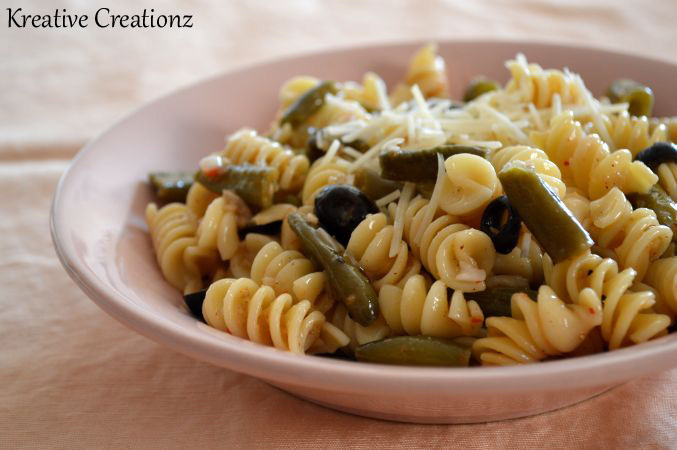 This easy green bean pasta salad has a tangy flavor, veggies, and is super easy for a side dish to please a crowd. Enjoy! In a large pot, cook rotini according to directions on box, until al dente. Strain water from rotini. 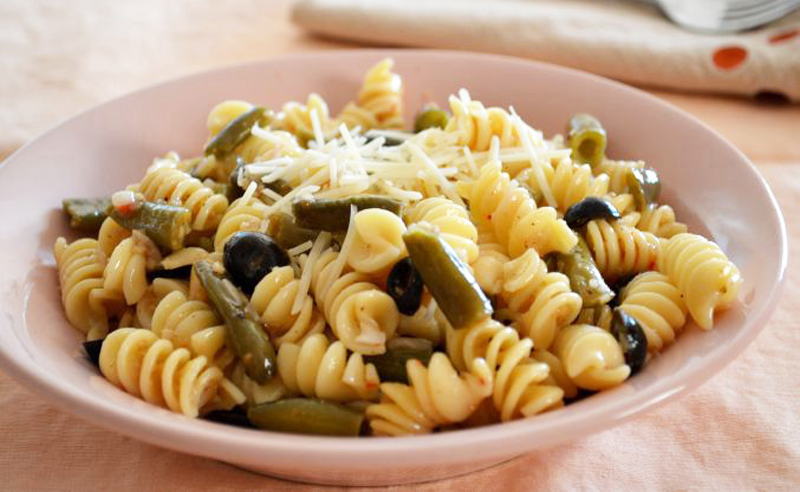 Place rotini in a large mixing bowl. Stir in remaining ingredients. Cover bowl with plastic wrap and set in refrigerator to chill. Serve cold.